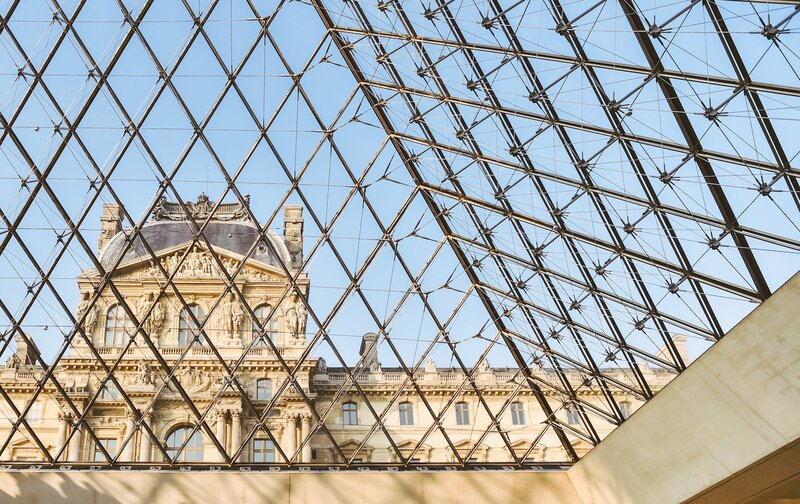 It’s a well-known fact that the Louvre is the most-visited museum in the world, and it’s also renowned for being one of the trickiest to navigate. With over 380,000 objects on show, it would apparently take about three full days to visit every single room–hungry work for even the most enthusiastic art lover! 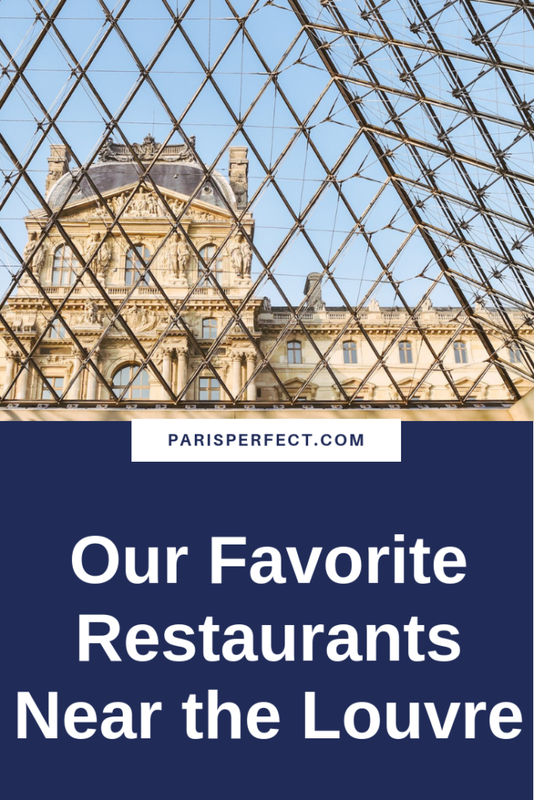 As there’s nothing more exhausting than trailing around looking for somewhere to get a bite to eat before or after your cultural exploits, we’ve put together a list of our top 10 recommendations of restaurants near the Louvre that we–and our Paris Perfect guests–love. We’ve got something for everyone and for every time of the day or evening, from a healthy breakfast to afternoon tea, or to a full-blown gastronomic dinner. 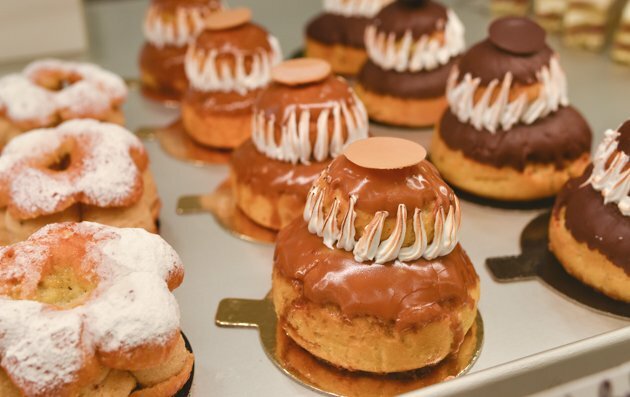 Take your pick and combine your Louvre trip with a Parisian treat to savor. 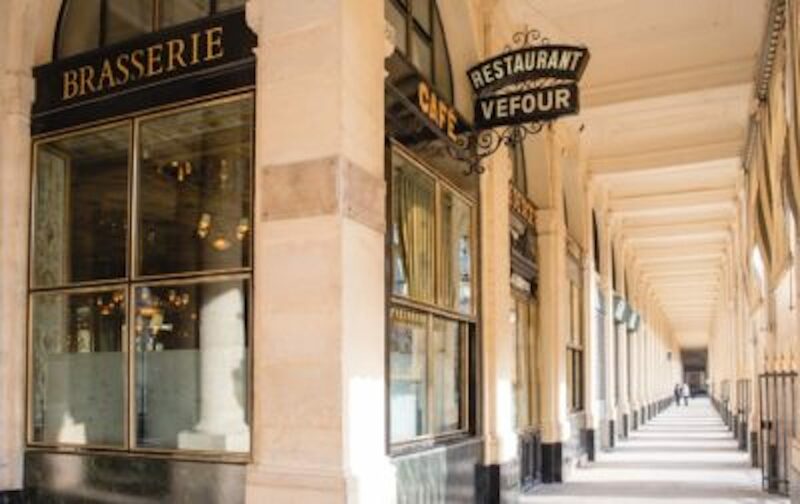 Standing in line for a well-earned and piping hot chocolate after a long walk on a freezing December day or for a signature meringue Mont Blanc pastry in the middle of summer is all part of the charm of visiting the wonderful Angelina restaurant and boutique on the rue de Rivoli. However, if time is of the essence and your hours are numbered during your stay, we highly recommend reserving a table for lunch or breakfast. The pâtisseries and particularly the infamously decadent chocolat chaud are well worth the wait. Incomparably rich and velvety, served up in a pitcher and almost a meal in itself, it’s easy to see why Coco Chanel reportedly used to come by for her daily fix and to watch the world go by in the vast Belle Époque mirrors that have been hanging since the early 1900s. Angelina is open every day. Possible to reserve breakfast, brunch and lunch; reservations taken between 7:30 and 14:00. No advance bookings for afternoon tea, served from 15:00. Closes at 19:00 (Fri-Sat-Sun 19:30). “Every time I come to Paris I look forward to waking up on the first morning and heading over to Claus. As soon as I sit down, I know I’ve arrived.” Our frequently returning guest Nicole, who if you’ll excuse the pun, knows which side her French toast is buttered on, echoes the sentiments of many of the regular habitués. You can look forward to perfectly cooked poached eggs with the yolk oozing onto crunchy multigrain bread; crisp röstis layered with smoked salmon; soft still-slightly–warm-from-the-oven scones with figs; bread baskets piled sky-high with freshly baked brioches and French bread…the list is endless. 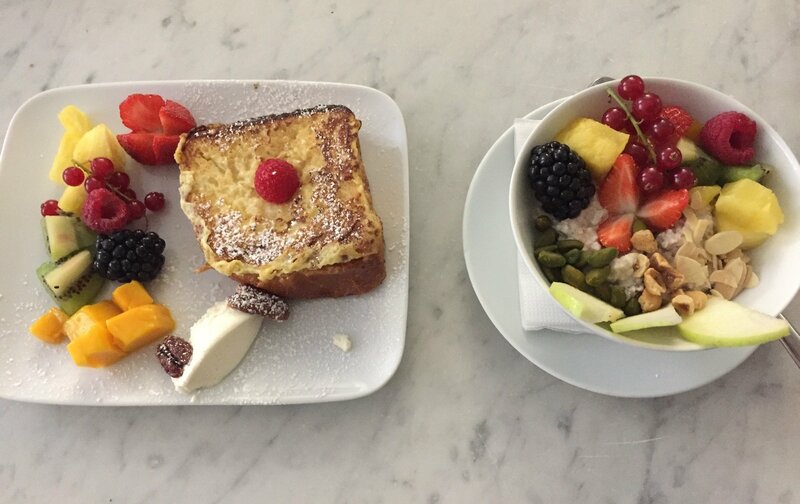 Gluten-free options and brunch variations for the health-conscious are naturally offered in such abundance that it’s easy to see why a return visit seems the only route to go. Claus is open every day from 8:00 Tuesday-Friday and 9:30 Saturday-Monday. Closes at 17:00. Reservations recommended. Fried chicken with pickles, buttermilk and slaw… marinated courgette with stracciatella and rib-eye with fennel…Ellsworth is one of our favorite restaurants near the Louvre and just re–reading the dinner menu after dining there a few months ago brings back a flood of appetizing memories. This small, elongated restaurant has a casual and cozy feel to it, and the unembroidered and carefully chosen menu is awash with delectable flavors. Affectionately named after American owner Bradan Perkin’s grandfather, he and his wife Laura opened the restaurant two years ago to offer a vegetable-driven (but not vegetarian) successor to their successful Verjus around the corner. 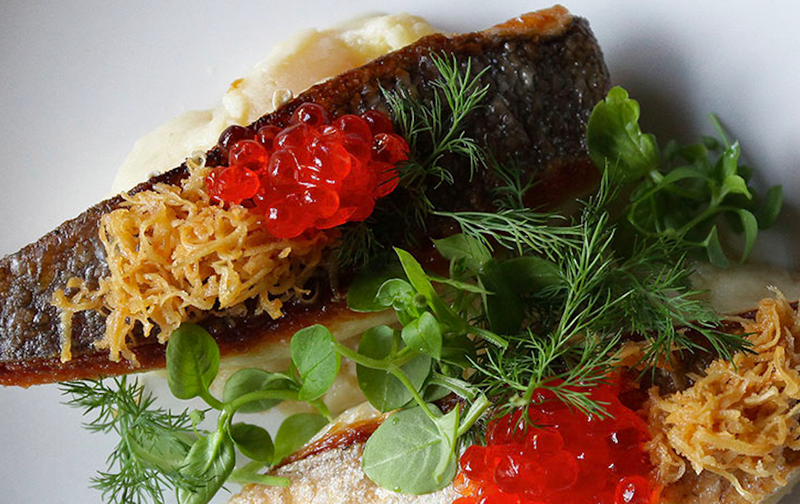 There is much to love about the small plates concept. I confess to being completely won over to the idea of choosing a selection of dishes and sharing them with my dining partner, alongside a delicious bottle of paired wine. Our evening was completed by spotting a celebrated and much-loved USA cookbook author enjoying a quiet dinner with her husband right across the way. What better accolade could you wish for? Ellsworth is open Tuesday-Saturday for lunch and dinner, advance reservation highly recommended to avoid disappointment. We’re big fans of Le Fumoir, because it is so many things to so many people. Open from 11:00 onward, it’s a great meeting point for locals and visitors alike, and has a very well-rounded menu that caters for a host of different tastes. 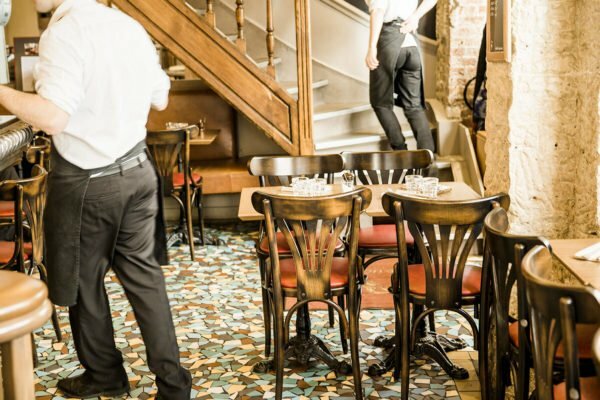 You’ll spot Parisians chatting over a café crème and tartine during their mid-morning break, or catching up after a hard day at work over an expertly mixed mojito cocktail on the spacious terrace. Lunch and dinner can be dressed up or down according to your own agenda. 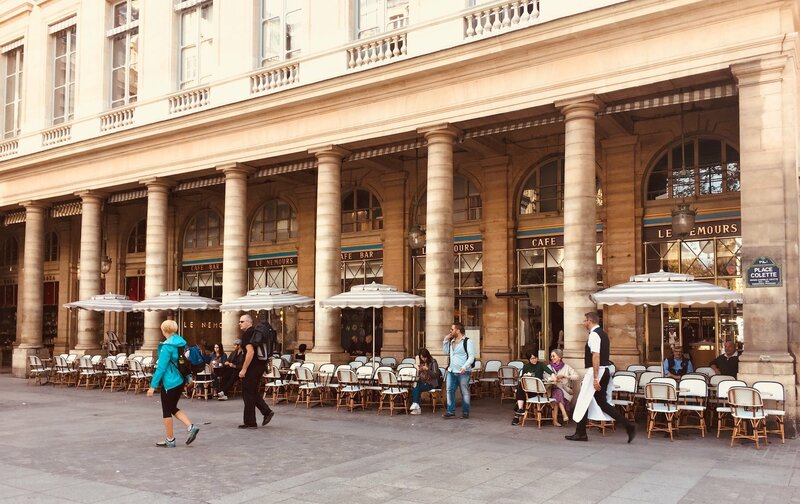 It’s a great place to rest your feet for lunch after your family’s Treasure Hunt of the Louvre, or enjoy an early dinner following an After-Hours Early Evening Tour, while a copious brunch is served on Sunday afternoons. My favorite spot is the library at the far end of the restaurant. Chef Henrik Andersson’s Swedish-inspired seasonal menu currently includes an absolutely glorious velouté froid de courgettes et petits pois that is truly to die for. Le Fumoir is open every day of the week from 11:00 for coffee, lunch, tea, cocktails and dinner. Advance reservation recommended but not always necessary. If we had to pick just one address that represents everything quintessentially Parisian, this would be the one. 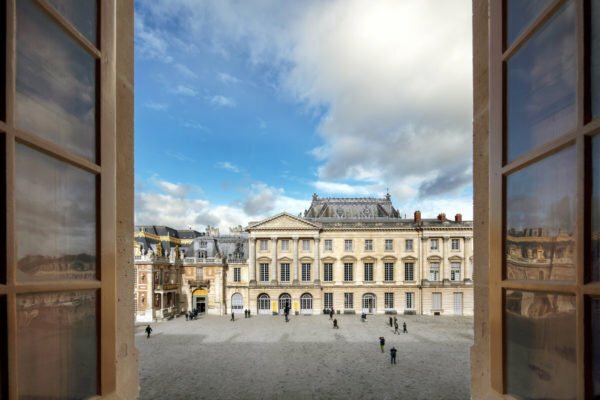 Le Grand Véfour is a splendid sight to behold under the arcades of the Palais-Royal, and has to be one of the most stunning places to enjoy a moment of gastronomic bliss, while contemplating the fabulous frescoes, opulent 18th century mirrors and general gilt décor at every angle. 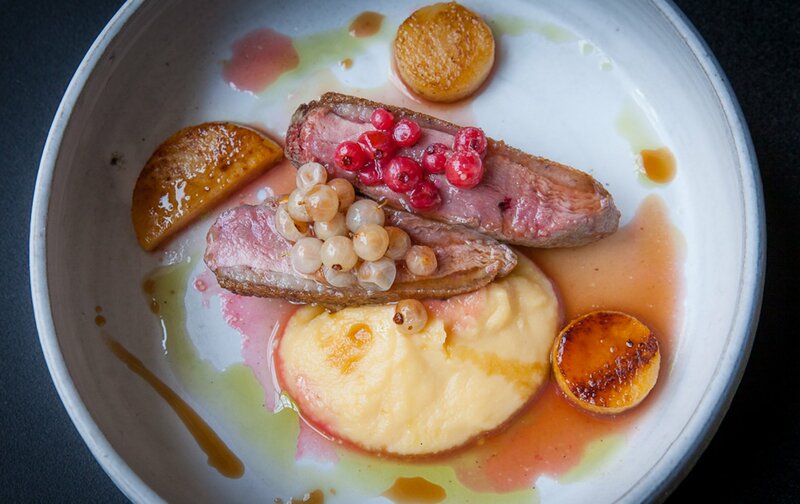 Established in 1784, this is the first and arguably best of the “grands restaurants” and head chef Guy Martin is keeping tight hold of his two Michelin stars, with no signs of any of the age-old attention to detail and high quality slipping. This is definitely a place to be reserved for a special occasion, and it’s possible to envision rubbing shoulders with Napoleon Bonaparte and Josephine or Victor Hugo. Nowadays, revel in the house specialties of ravioles de foie gras and the beef parmentier with truffles, not to mention the mango and passion fruit calisson – and the most extraordinary cheese board to be found in the whole city. It’s worth taking out a small mortgage to make a dinner reservation, but the lunch menu reads like the bargain of the year. Le Grand Véfour is open Monday-Friday for lunch and dinner, advance reservation essential. It’s hard not to feel a residual sense of that same glamour every time at this great café, which is an institution on Place Colette, and remains to this day one of the best places for people-watching in Paris. Strangers at the next table gossip about seeing Nathalie Portman play with her son in the square during her former residency in Paris, while others can be heard earnestly discussing the latest exhibition showing across the road, and if you partly close your eyes, you can almost see actors from days of yore strolling by on their way to the famous Comédie Française across the way. 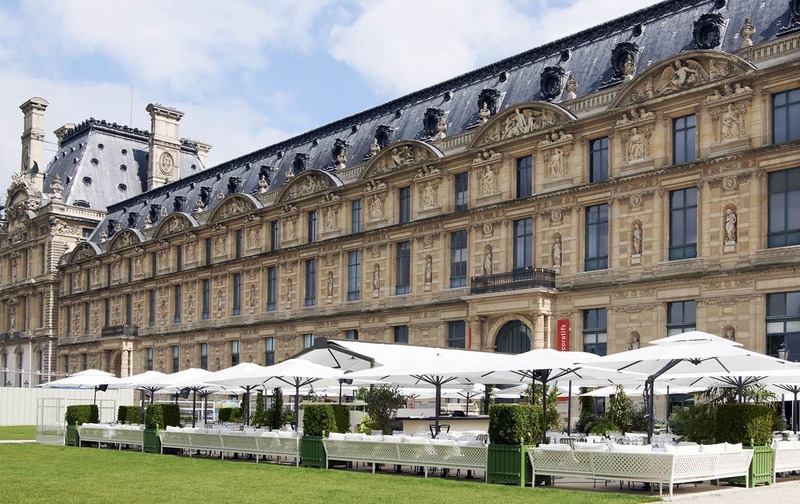 Very close by is the rendez-vous point for many of our walking tours of the Louvre, so this is also a fabulous place for a restorative snack or drink before heading into the museum–sunglasses strictly de rigueur! 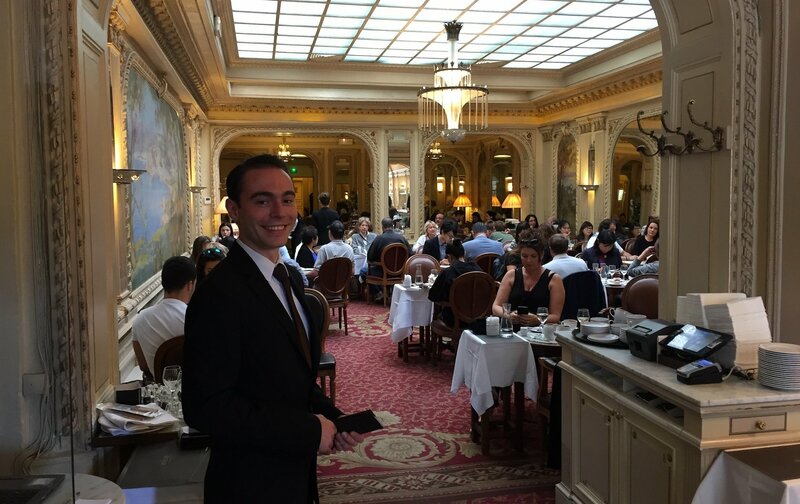 Le Nemours is open every day of the week from 7:00, reservations not always necessary, but the terrace can get very busy at peak times of the day. It does seem faintly sacrilegious to include a recommendation of an Italian restaurant in our list of restaurants near the Louvre, with so many great French venues in the vicinity, but there’s no denying that the owners of Monsieur Bleu have created a beautiful story at this eye-poppingly glorious address attached to the Musée des Arts Décoratifs. By summer, the extensive terrace seating in the midst of the Tuileries is virtually unbeatable, while the view of the gardens from the first floor of the restaurant is heart-stoppingly mesmerizing. The prices on the menu do reflect the location, but the cuisine never fails to impress. As our guest Wendy wrote to us: “AMAZING! Loulou was so good; it was my husband’s favorite meal. Everything was so fresh and in season. The atmosphere was so elegant and the food was just delicious. Thank you for the recommendation!” Top tip on the menu front: the classic vitello tonnato and the thon mi-cuit seared tuna and veal dishes. 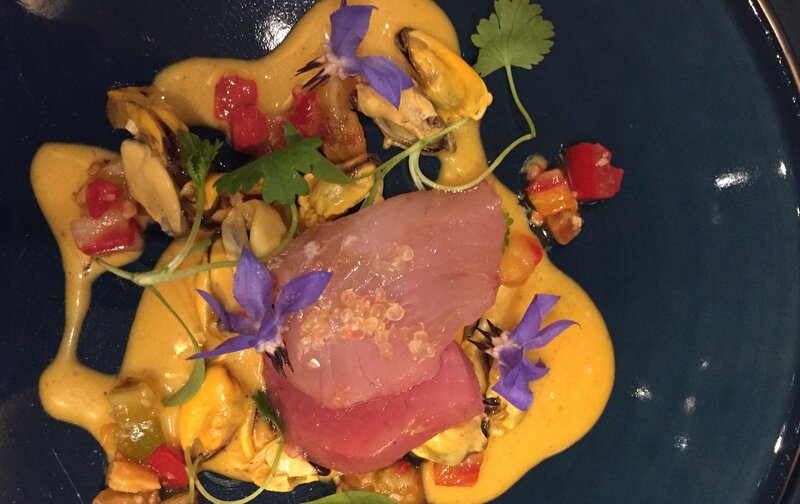 Loulou is open every day of the week for lunch and dinner, advance reservation essential. You only live once, as the old adage goes, and treating yourself to tea at the Ritz at least one time is something that should figure on everyone’s wish list. As your feet sink into the lavish carpets on your way to Proust’s second home, it seems only fitting that his portrait looks benignly down on you, as you are shown to your table and sweetly informed that there is nothing savory about the pastries on today’s menu. From the sparkling white bespoke Limoges porcelain to the Madeleine-themed tiers of tuile biscuits, sponge fingers, Florentines and chocolate chip buns, the only difficult decision you’ll have to make is whether it will be a tee-total splash, or if you’ll indulge in a glass of champagne during your Parisian teatime. There’s a beautifully literary touch when that suitably ritzy bill lands on your lap after the banquet, which you can read more about in Jill Colonna’s article on teatime. Feel free to ask about a ‘doggy bag’ for taking the uneaten treats back to any canine-loving friends waiting at home. 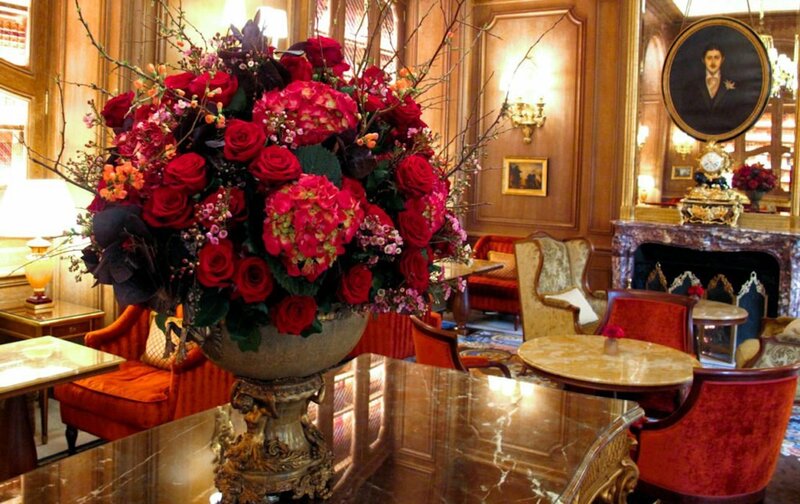 It’s certainly one of the most luxurious restaurants near the Louvre. 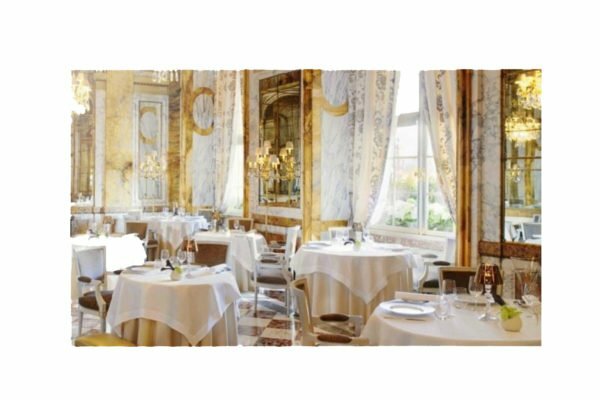 The Salon Proust at Le Ritz serves teatime every day of the week from 14:30 to 18:00, advance reservation highly recommended. 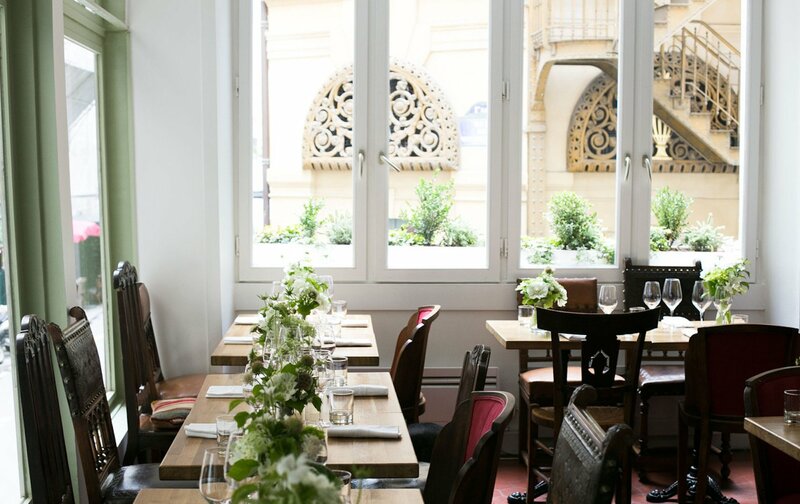 Tucked away at the far end of the rue de Richelieu, around the corner from the magnificent Palais-Royal gardens, there is an unspoken air of confidentiality about Verjus even before you are seated in this gorgeously atmospheric restaurant. The fine dining experience begins before you turn to the menu, thanks to the intimate feel of the small candles lit at every table, complimented by large mirrors and big picture windows. Chef Bradan’s tasting dishes offer a succession of small plates that are a surprising mix of tastes and textures. Vegetarians are well catered for, and the food is better suited to the more adventurous palate. Who knew octopus, bell pepper and raspberry could belong so well on a plate together? Who can resist the made-in-heaven blend of eggplant, caviar and almond milk? Excellent wine pairings are assured by the ever-vigilant expertise of sommelier Laura for an experience that one of our Paris Perfect guests described as “the best dinner so far. Even beyond what we remembered.” The proof is in the pudding. Verjus is open Monday-Friday for dinner only, advance reservation essential. Having been fascinated by French chef Adeline Grattard since she was featured in the 2016 French version of “Chef’s Table” (Netflix, highly recommended), it is always a treat to catch a glimpse of her at work in the early evening through the window of the open kitchen on rue Saint-Honoré. Once indoors, only superlatives will do when describing this exquisite Michelin-starred restaurant, which is a feast for the eyes. yam ‘Tcha is open Wednesday-Saturday, reservation indispensable, bookings taken one month in advance. Posted on Tuesday, September 18th, 2018 at 4:06 am in Food & Drink. You can follow any responses to this entry through the RSS 2.0 feed. You can skip to the end and leave a response. Pinging is currently not allowed.